President-elect Rodrigo Duterte said he would no longer accept interviews until the end of his term to avoid criticisms. “Di na ako talaga… sorry ha, talagang ano ako…boycott talaga” Duterte said on his interview on Monday by TV5 reporter France Noguera. When asked how long it would last, he answered, “Until the end of my term”. “If there are interviews, there will be many mistakes, there will be many criticisms. So no interview, no criticism, no wrong statements, no nothing,” the incoming president said. The National Union of Journalists of the Philippines (NUJP) condemned Duterte’s statement, stressing that nothing, not even corruption, can justify murder. Reporters without Borders even go as far as asking Media to Boycott Duterte’s press conferences until he apologizes. The reaction did not sit well with the incoming President and said he won’t apologize for his statements. “Go ahead, boycott me. 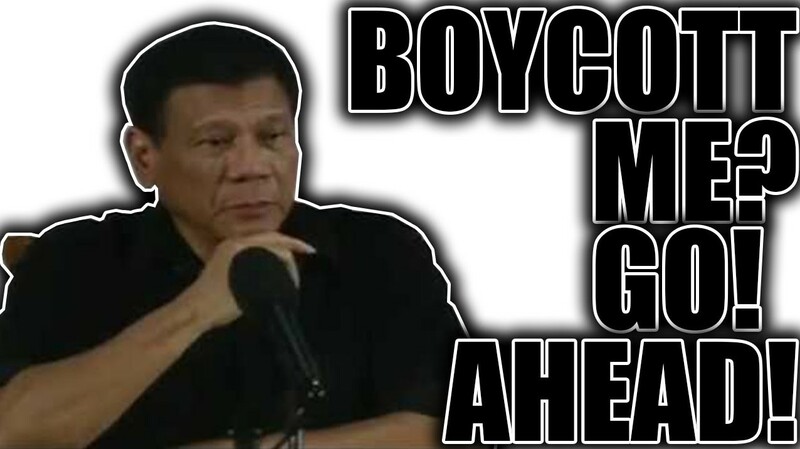 As a matter of fact I’m urging you make this your last trip in Davao City,” he told reporters in a press conference last Thursday. Incoming presidential spokesman Salvador Panelo on the other hand said that Duterte’s statements were misunderstood. “His administration is protective of the interests and rights of journalists, especially their freedom of expression.” – Panelo said in a recent interview. What he was saying was you do not need to be a journalist of for that matter, a lawyer, public official or doctor to be killed or injured. These can happen to you if you did something hurtful to anyone who can get back at you. Christopher Go, Duterte’s long-time assistant, said the incoming president would just relay his statements through government television station PTV-4.